So, let’s start with the most sociable room in the house, the living room. Neutral shades are a prime choice for a living area but this doesn’t mean you have to opt for understated décor. 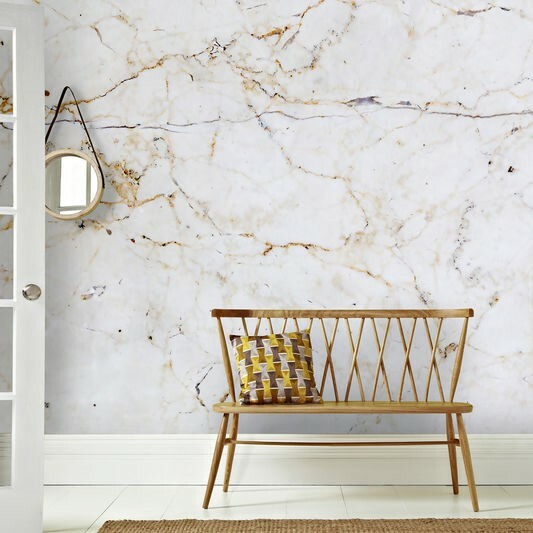 Our Milano wall mural features a dreamy marble design that is both contemporary and on trend. Alternatively, adopt the loft living trend with this urban Vtwonen large factory wall mural. The rustic brick design is ideal should you wish to pay homage to the industrial trend that is still going strong this season. If there is one place you can experiment with bright and bold designs, it’s in the bedroom. Floral designs are always a top choice for bedrooms and our Watercolour Flora wall mural can’t fail to create a colour statement. While the colours are bright, the watercolour design adds a romantic softness to the finished look. Green and blues are known to have soothing qualities and our Indigo digital wall mural will create a calming sanctuary. The dining room often has a formal air to it and therefore, you will require a mural that is both elegant and refined. 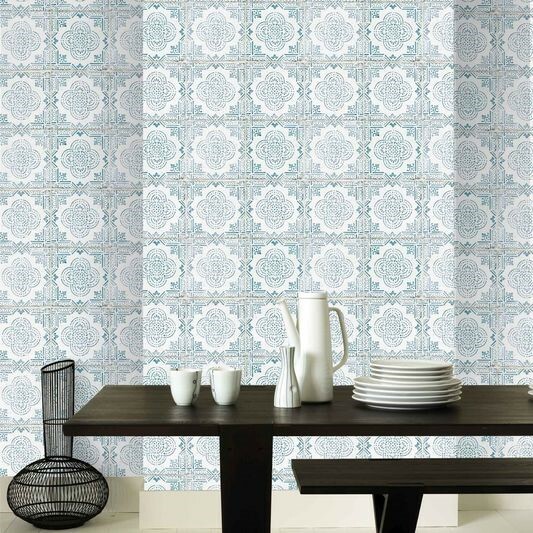 The Lisboa wall mural is a tiled design that will become an instant talking point among guests. The teal and white shades and the formal tile print are a wow-worthy combination. If you want to create an enchanting dining room, our Purple Bloom wall mural will add more than a little magic to your space. 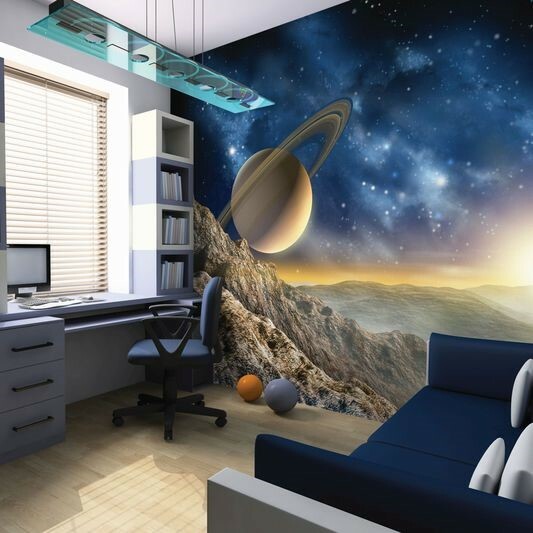 Wall murals are great for children’s’ rooms as you can update their décor as they grow with ease. Disney fans will adore this vintage wall mural featuring all of their favourite characters young and old. For little adventurers, we have the whole wide world wall mural to help them experience the wonders of the world without leaving their room. Lastly, for aspiring astronomers, the Galaxy wall mural is positively other worldly. 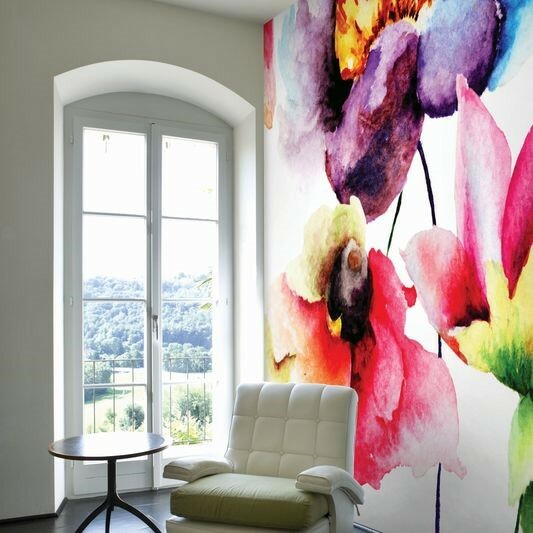 So, there you have our top picks for stunning wall murals for each room of the house. We hope we’ve inspired your next decorating project. Explore all our vast range of wall murals.